Back to the future for Bob Barr? 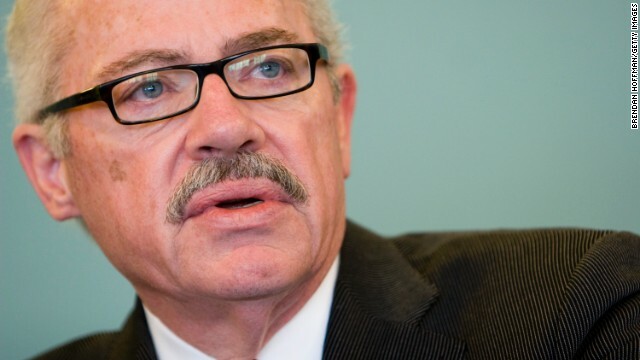 (CNN) - Bob Barr wants to return to Capitol Hill. The former four-term Republican congressman from Georgia launched a GOP bid Thursday to return to the House of Representatives. Barr, best known as one of the House GOP ringleaders behind the late 1990's impeachment of President Bill Clinton, is touting his experience as he runs for office again. "This is not a time to send novices to Washington, the stakes are just too high. We need folks up there that know what's going on, that have a proven record, that have been there, done it, accomplished things and I do that and will do it," Barr said in a conversation with CNN. Barr adds that he's checked with the GOP leadership in the House and says that if he's elected next year, he'll retain his seniority from his four terms in the chamber, a point that he says is important to his campaign. Barr was first elected to Congress in the GOP wave of 1994. In 2002, after redistricting controlled by the Democrats, Barr's district was eliminated and he was forced into a primary battle with fellow Republican Rep. John Linder, which he lost. Barr joined the Libertarian party and was their 2008 presidential nominee. Now he's running for Georgia's 11th Congressional District, which is represented by Republican Rep. Phil Gingrey, who's running for the state's open U.S. Senate seat. Barr could face a crowded field in the battle for the district's GOP nomination. Barr made his campaign announcement at Adventure Outdoors in Smyrna, Georgia in suburban Atlanta, which he touted as a successful family business. He emphasized his fiscal conservatism in his conversation with CNN. Barr said that spending and taxes were cut when he was in Congress, with a Democrat in the White House, and that it can be done again. "We need to start getting our economy back on track. We cannot sustain the track we are on with trillion dollar deficits," added Barr. "We need to be cutting taxes, cutting spending, not increasing revenue to government. If there's one thing that we know and this was the same back in the 1990's when I was first elected, is that what causes government to spend money is to give government money to spend." Barr also touted his ability to reach across the aisle, saying "when it's necessary to work with the other side to actually get things done but without compromising principles, I do have an ability and a track record behind it to do that." Barr made his announcement one day after the Supreme Court heard oral arguments on the Defense of Marriage Act, which Barr sponsored in 1996. When he became a libertarian, Barr called for the repeal of the law, which defines marriage as between a man and a woman. Barr was known during his years in Congress as one of the most conservative members of the House. Asked if Democrats will attack him again, Barr said "I think they certainly will. I've withstood those attacks before without withering and will do it again." CNN reached out to the Democratic Congressional Campaign Committee regarding Barr. "The key to the Republican Party rebranding is obviously with candidates like Bob Barr as their standard bearer," was the sarcastic response from Jesse Ferguson, the DCCC's deputy executive director. @just sayin – Oh, and by the way, I support responsible family planning and personal responsibility. However, I don't think the solution is to cut benefits and let the kids starve. Do you? if you are on welfare then you have to be on birth control, and not birth control by abortion. but liberals won't go along with that. prove me wrong, please, i beg of you, pass the legislation today and prove me wrong.